In the flesh he seemed indestructible. Hugo Chavez was not especially tall, but he was built like one of the tanks he once commanded. He was possessed of seemingly inexhaustible energy. He travelled incessantly, both around his vast country and abroad. Each Sunday he would host live television shows lasting up to 12 hours. He would ring up ministers in the early hours of the morning to harangue them. For 14 years, everything that happened in Venezuela passed through his hands, or so he liked to think, The Economist wrote of him. However, loved and mourned by millions of Venezuelans, Chavez, failed to turn the country’s oil wealth into prosperity. Venezuela’s economy is a disaster, a Bloomberg analysis said in 2015. The government stopped releasing regular economic statistics, the annual inflation rate is believed to be150%, while an estimate from the Troubled Currencies Project put the real inflation rate at 808%. In each of his speeches, Chavez said that Latin America had liberated itself from what he called the American imperialist yoke. He jailed some opponents and labeled his critics as degenerates and squealing pigs. Chavez used to call his governing “Socialism of the 21st Century,” but political scientist Terry Lynn Karl dubbed it “petrolization” – making the spending of oil money your government’s main purpose, even after the oil money starts to run out. This has left the country in an impossible situation, Bloomberg said. The divergence between Venezuela’s revenue and spending started long before the oil-price collapse. When oil prices hit their all-time high in July 2008, government revenue – 40% of which comes directly from oil – was already falling. The main problem was Venezuelan oil production, which dropped from 3.3 million barrels a day in 2006 to 2.7 million in 2011. It was still at 2.7 million in 2014, according to the latest BP Statistical Review of World Energy. Venezuela’s shrinking oil production is a reflection of the country’s grim financial situation, which has caused rolling blackouts that have even left oil facilities in the dark, CNN said in June 2016, when S&P Global Platts announced that the country produced just 2.15 million barrels of crude oil per day that month, showing the weakest pace since February 2003. A former bus driver, Maduro became President not for his personal qualities and achievements, but benefitting from a sympathy vote which later turned into mass protests. In December 2015 parliamentary election, the ruling United Socialist Party of Venezuela (PSUV) lost control of the National Assembly for the first time since 1999. Demonstrations against Maduro, have been fueled by anger and frustration over high inflation, violent crime and shortages of basic goods. The opposition-led Assembly voted to begin impeachment proceedings against President Nicolas Maduro for violating democracy. The latest protests that drew hundreds of thousands saw unrest leading to dozens of injuries and arrests. After launching a political trial against Maduro on Tuesday in the National Assembly, the opposition coalition held nationwide marches dubbed “Takeover of Venezuela”. “This government is going to fall!” crowds chanted, many wearing white and waving national flags as they congregated at nearly 50 sites across the country, Reuters reported. “This needs to keep growing so that the government understands once and for all that we’re doing this for real,” said two-time presidential candidate Henrique Capriles, blaming authorities for what he said were over 120 people injured and some 147 protesters detained. 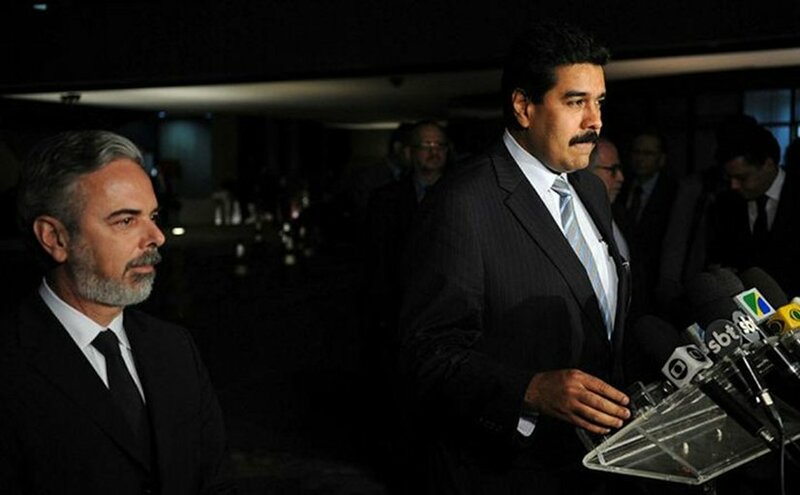 Coalition leaders called for a national strike and a November 3 march to the Miraflores presidential palace in Caracas, unless the election board allows a referendum to remove Maduro. Thus, while President continues to accuse the opposition of coup attempts, the country with the world’s largest oil reserves remains to be a place, where people form queues to get basic foodstuff and angrily kill animals in zoos. The author has never mentioned any achievement under the late President Chavez. President Chavez had helped the poor and provided medical services and was doing his best for a better independent society. He converted the looted funds by the wealth to the domestic economy. About Maduro for being a bus driver, it is easily stated that being a proletarian is not a shameful act. In other nations, you have a similar situation. Some presidents used to sell smit and ice and others were selling cars and the like. Work is a virtue. The article has cited a high inflation rate and stagnating economy. The truth is that all oil countries have economic problems and people are unhappy about them. These oil countries have become dependent on the export of raw materials due to its long-run occupation by world imperialism. Some countries such as Venezuela have been affected by world imperialism. Imperialism has been using oil price to destabilize Iran, Russia, Iraq, and other oil countries. Oil price has been cut in more than half since 2014. Low oil prices mean low revenues and budget deficit for oil countries. Venezuela should be united to counter economic foreign aggression rather than destabilizing their country by protests and national strikes. The opposition in the country is supported by world imperialism and if it comes to power the nation will be exploited and become worse off than the current situation. Here in the USA people are hurting as well and other western countries have been stagnating as well. All these world problems are generated by world imperialism for enriching the wealth and destroying other countries.